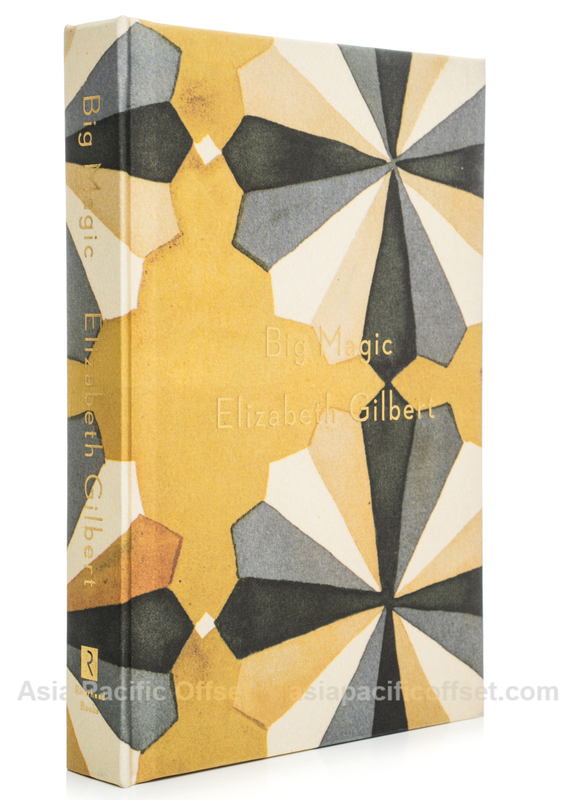 These limited edition copies each have a unique case design for each book; the case is printed from images scanned of the artist’s unique fabric design. 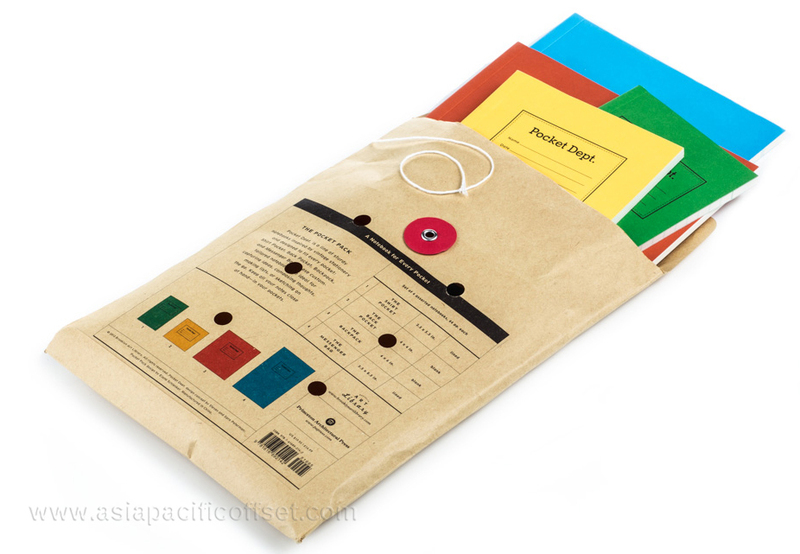 It is critical to print the case on a material that will maintain the artist’s vivid colors. 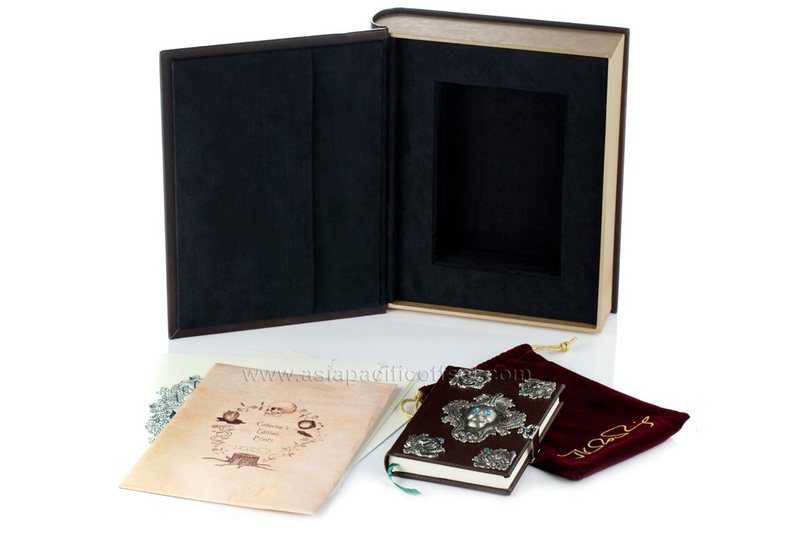 The cases are printed 4-color printed Lotus cloth and matt varnished. 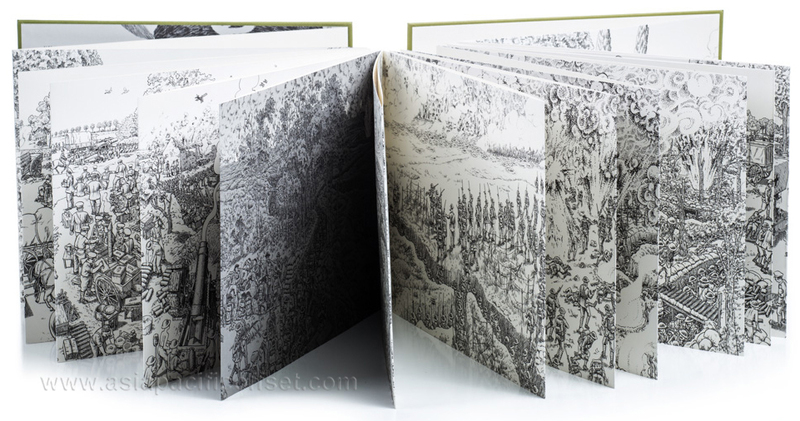 Each book is housed in a foil-stamped clamshell case covered in white Wibalin (faux-cloth.) 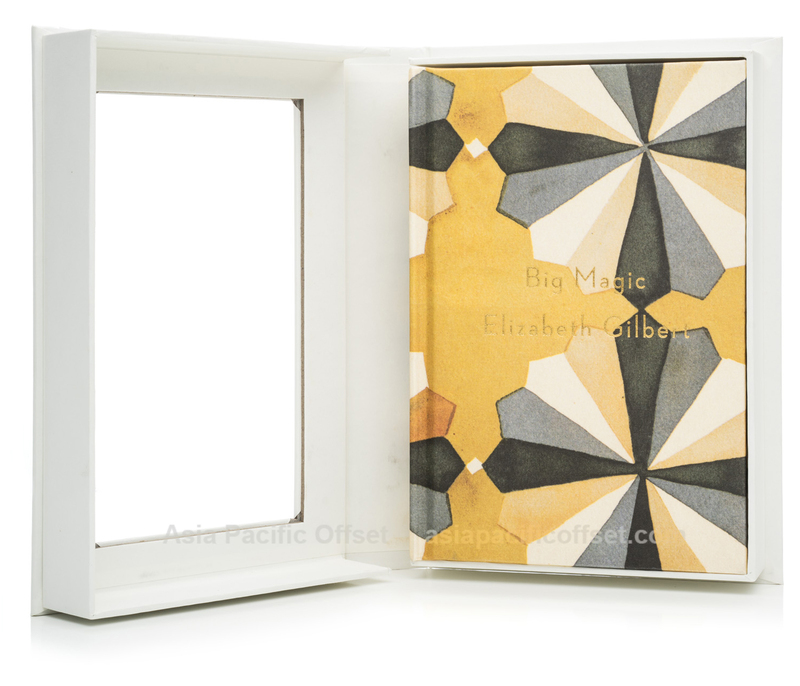 The clamshell is designed with a large die cut window to “frame” the unique case, giving the illusion of a framed print. Each copy is signed and numbered by the artist. The package is then placed in a cardboard self mailer for added protection during shipping. 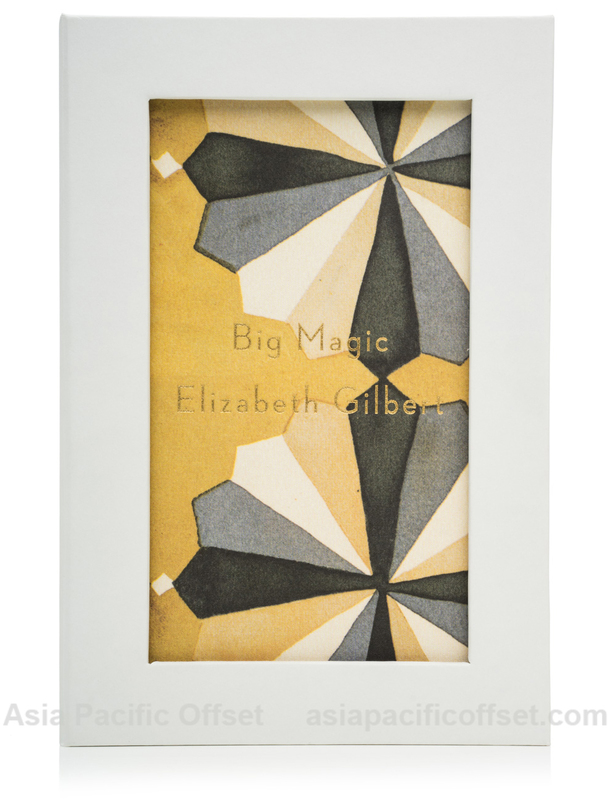 Elizabeth Gilbert is the #1 New York Times bestselling author of Eat Pray Love and several other internationally bestselling books of fiction and nonfiction. 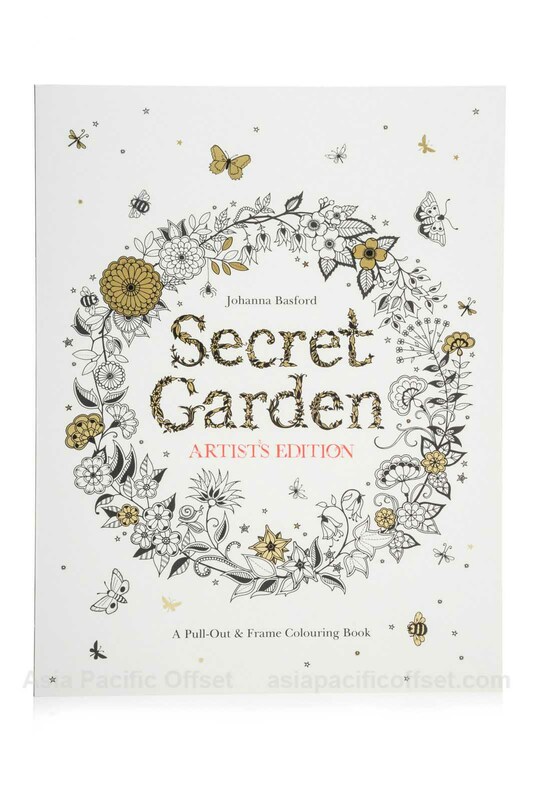 In this latest book, Gilbert shares her own process and unique perspective about creativity.